The Ol-donyo Sabuk is an amazing place to be. It is the border between the Agikuyu people and the Maasai People. It is a melting point of two cultures; one predominantly agricultural oriented and the other pastoralism oriented. The Kikuyu are farmers whereas the Maasai are pastoralists. The Maasai dirges, dances, circumcision rituals, festivals and prayers will awe any visitors. The Agikuyu, not to be left behind will entertain you with the local music, Mugithi that sings about the societal issues such as marriages, politics, romance etc. Ol-donyo Sabuk is Maasai for 'large mountain'. The ethnic Kikuyu who borders Ol-donyo Sabuk to the east call the mountain Kilimambogo or Kia Njahi. Local folklore says that the mountain was the lesser residence of the God of the Agikuyu people, Ngai. His main residence is Mt. Kenya. The National Park is home to a variety of wildlife including; Buffaloes, Columbus Monkeys, Baboons, Bushbucks, Impalas, Duikers and a wide variety of bird species. The vegetation is widely savanna grassland with a few scattered shrubs and acacia trees. Spotting the animals should not be very hard with that kind of vegetation. The park sits on a 27 square kilometer and the mountain peaks at 2,745 meters. The park is popular with the Nairobi city residents due to its nearness to the city. 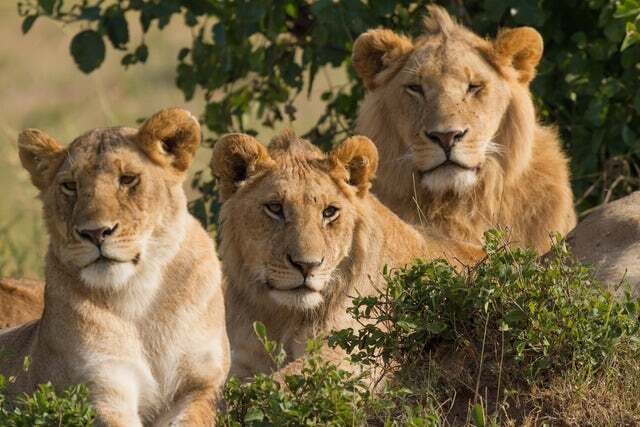 Tourists are also treated to a guided tour up the mountain where they will have a spectacular view of Nairobi, the Park and the nearby Nairobi National Park. The Park is about 65 kilometers from Nairobi, the capital city of Kenya. It is also a few minutes’ drive from the industrial town of Thika. To get to the park, you need a four wheeled car. The park is still untamed and the trails inside the park might get muddy, especially during the rainy season of March and April. If you want to sample a little culture mixed with some bush safari, then Ol-donyo Sabuk is the place to be. The local people are very hospitable. You may even get to sample their local delicacy, Nyama Choma... roast beef, which is roasted on open charcoal fire.